Meu nome é Paulo Abe. Sou um dos administradores do site. Sou escritor e artista plástico. No momento, estou com um projeto aprovado em Anhem na Holanda para essa instalação das fotos. Desde a Antiguidade, o céu foi a janela para ler o passado, o presente o futuro: o livro da História Humana. No entanto, hoje o céu não é mais uma opção. 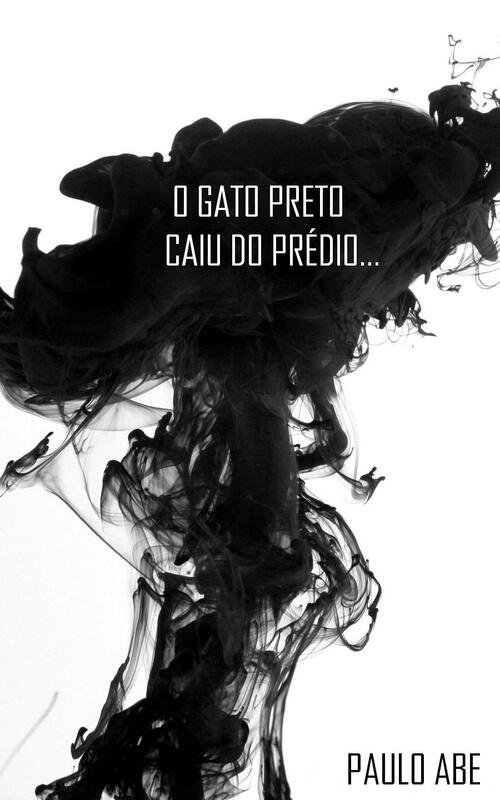 O Livro se fecha. Assim, nesse trabalho se procura discutir esse distanciamento da janela de nossa história e dos símbolos aos quais estávamos familiares um dia. Gostaria de pedir a ajuda de vocês para colocar o projeto em ação e ser montada na Holanda. 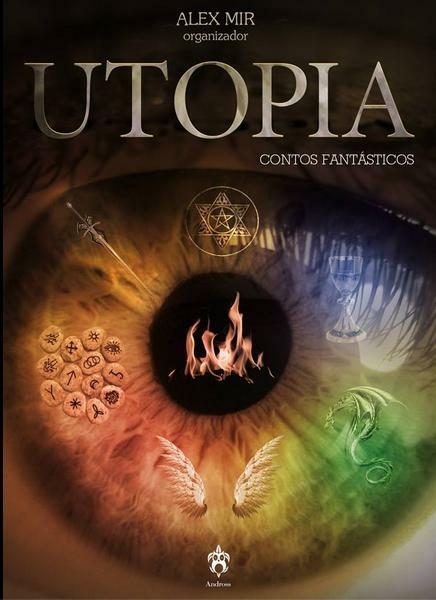 ou comprar meu romance “A Última Estrofe” por 30 reais, ganha o a coletânea de contos fantásticos “Utopia” da qual participo. Ou por 25 reais adquirir apenas o romance autografado. Não há custo de frete. 30 reais ou 7 euros para 2 livros. Mas já consegui 2 nessa semana. A destruição quase eminente do mundo, em meio às teorias filosóficas de Vico, levam o jovem Stanley a se aproveitar de sua situação única e a escrever um último livro sagrado. Seu objetivo é resgatar a primeira língua falada pelos homens, anterior à Torre de Babel, idioma que deixou vestígios nos mais antigos mitos e livros. Stanley se propõe a escrever a Última Estrofe, obra que tomará o Paraíso de assalto por meio da linguagem poética. Ao doar, terão seus nomes no Hall da Fama de doares na Holanda. Por favor, dêem uma olhada. 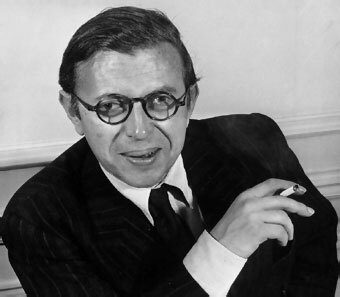 Sartre – Por que escrever? Olá, pessoal do Projeto Phronesis. Extraordinariamente, venho apresentar meu segundo romance que saiu em e-book pela E-Galaxia. Desmond é um homem perdido. Há anos passa todos os dias pelo mesmo bar. O que busca é Anna. Mas não sua pessoa, e sim sua memória. Sua história fantástica era secreta para todas as pessoas até o fatídico dia em que encontra uma garota no mesmo bar, também chamada Anna. A coincidência lhe potencializa a memória, o que o leva então a contar pela primeira vez a história de Desmond e Anna. Uma história de dois universos. 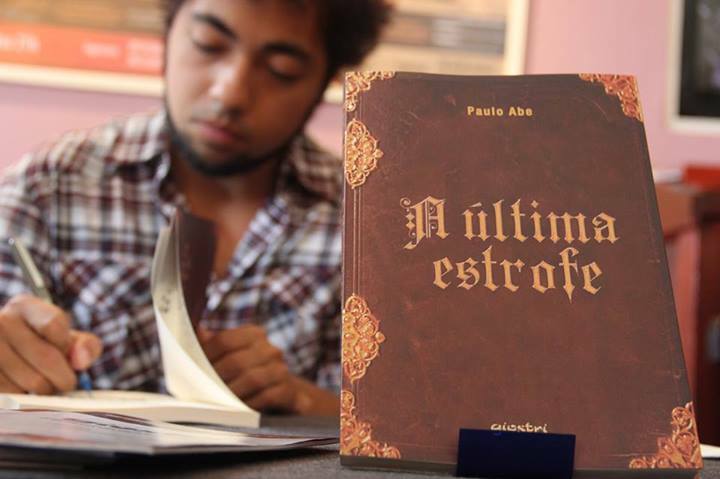 Ao narrar essa história, Paulo Abe faz um acerto de contas com uma questão que lhe surgiu durante a infância: “Eu, ao pensar, sei que existo, mas como posso provar que os outros então existem?” Passados quase vinte anos, o problema estava adormecido, até o dia em que o autor tomou sua primeira dose do chá de ayahuasca. A resposta veio como um relâmpago de compreensão. E é agora apresentada ao leitor nessa fascinante ficção. 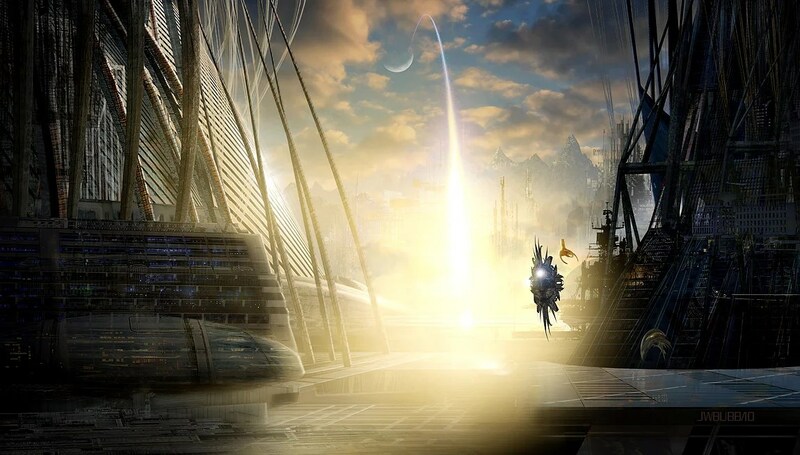 Being a science fiction creator is the most amazing adventure — you get to invent whole new worlds, brand new futures, and fantastic technologies, and you get to tell the most incredible stories about them. But it’s also a tough and heartbreaking career path, whether you’re in books, comics, movies or television. 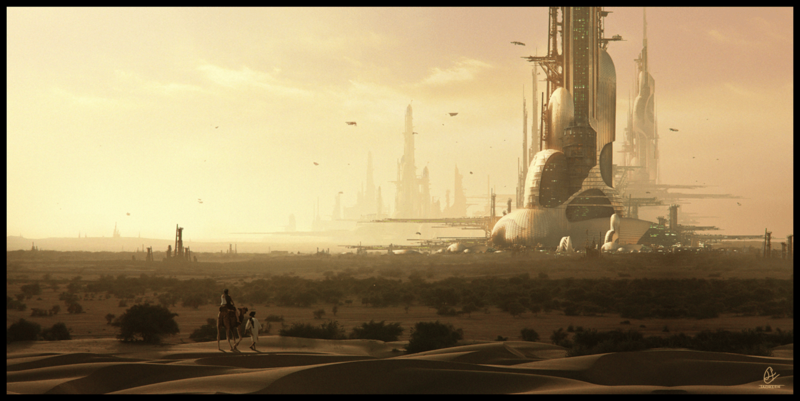 Here are 10 things that every brand new science fiction creator ought to know at the start. Top image: guitfiddle on Deviant Art. This is kind of a big one — no matter who you are or what kind of work you’re doing, you’re still telling a story that’s personally meaningful to you. Because science fiction is so idea-focused and so often driven by technologies or world-changing discoveries, it’s easy to lose sight of that. But not finding the personal story inside your huge alien-invasion narrative is the easiest way to fail. The only way to stand out, and the only way to tell stories that are going to move others, is to figure out what you’re personally connecting to in your work, no matter how clever or widescreen your premise. We see this all the time nowadays — once a movie or book becomes a classic, people fixate on that one cool moment or that one clever line of dialogue. (Or sometimes, they fixate on something totally random, that just became a meme for some reason.) But no matter what, that one cool moment is not why people love that story — they love it for everything that sets up the cool moment, and everything else that makes it a great story. And this is why nostalgia is so deadly — because nostalgia tends to focus on the tip of the iceberg rather than the huge frozen juggernaut beneath. So if you spend a lot of time trying to recreate the coolest moment from your favorite TV episode, you’ll miss the stuff that mostly goes unnoticed, which made people care in the first place. Nostalgia always cheats, and the only answer is to try and create your own thing. That means that no matter how clever your extrapolation about the world of 100 years from now is, or no matter how brilliant your tribute to 1950s B-movies is, you’re still commenting on the world of today. And your perceptions of other times and other places will always be colored by the time and place you’re writing in. (This is especially important to remember for white Americans writing about non-U.S. cultures, past present or future.) Tons of studies have shown that humans have a hard time anticipating futures that are radically different from what we’ve already experienced. This means you need to be on the lookout for unwarranted assumptions in your worldbuilding — but also embrace the fact that you’re really commenting on the here and now, and be somewhat okay with that. Basically, you need to understand the difference between a premise and a plot. (This took me years to master, and I’m still not always great at telling the difference.) A premise is “in the future, everybody has a brain chip that regulates emotion.” A plot is “one person’s brain chip malfunctions,” or “someone invents a second brain chip that allows technology, but people who have both chips go insane.” A story that just lays out a basic premise isn’t really a story at all — it’s a pitch, at best. The hard part is often turning the idea into an actual story, and see point #1 above — you need to find what’s speaking to you personally about this premise. 5) Even if you perfectly imitated your heroes, you’d still fail. Let’s say you manage to write a book that Ursula K. Le Guin could have written, or you figure out how to direct a movie exactly like James Cameron. Leaving aside the impossibility of fully capturing the style of one of the genre’s great originals, you’ll still be kind of screwed. For one thing, even if people may say they’re looking for the next James Cameron, they don’t mean they’re looking for a carbon copy of James Cameron. It’ll just fall flat. For another, the field is constantly changing, and if you copy your heroes too much, you risk coming up with a perfect rendition of what everybody was looking for 20 years ago. Pay homage to Le Guin all you want — but you also have to work to develop your own style, that’s something new and fresh. 6) Cool story ideas are dime a dozen. People get paranoid about having their ideas stolen, or being accused of stealing someone else’s idea, or “wasting” an idea, or whatever. But ideas really are as common as dirt, and it’s easy to come up with more. Even cool ideas. Just spend half an hour reading New Scientist, or scanning the front page of the newspaper, or watching people in a public place — story ideas come from everywhere. And they’re mostly worthless. Even if you come up with a clever story idea that would make a Hollywood producer’s ears prick up, it’s still worthless unless you can turn it into something. And that, in turn, requires coming up with a protagonist who’s fascinating and belongs in the middle of that cool idea. Ideas are easy, but stories are freakishly hard. If your characters aren’t clicking, or if you can’t figure out how to make them go in the direction your plot needs them to go in, that usually means you need to take a step back and think about what they’re really going through and what they would really feel in that situation. It’s tempting to push them into a pat resolution that satisfies your plot needs but doesn’t actually make that much sense for the characters. It’s also tempting to fall into a bleak, “existential” ending where your characters fail, just because you’re annoyed with them and can’t figure out what else to do with them. (And there’s nothing worse than a bleak ending that hasn’t been earned.) The end of your story is not a finish line, and this isn’t a race. Sometimes you need to go back and figure out where you went wrong. Seriously. Everybody who’s been around for a while has a sob story in which they (or a friend) tried to jump on that hot vampire romance trend, or that super-popular “dystopian teen fiction” trend, and then realized that the trend was already on its last legs. You shouldn’t chase trends anyway, because that’s probably not going to result in work that you’re going to feel as good about in the end. But even if trend-chasing was a good idea, bear in mind there’s a long pipeline for books and an even longer one for movies or TV — the things you see coming out right now represent the trends that are already ending. Research is a huge part of writing really good science fiction, especially if you’re speculating about future developments. Learn how to talk to scientists about their work — if you seem smart and interested in telling good stories about science, they’ll often be willing to talk toyou. Also, learn how to read scientific papers and do research. And learn how to do research about other cultures and other times, too — even if you’re not writing about them, it’ll make your worldbuilding way stronger. This never really stops being true, for a lot of us. Especially when you’ve just finished something, you often can’t see what’s working. There’s no substitute at all for getting feedback from others, and running your work past professionals as much as you possibly can. Join a critique group or take classes, just to get more feedback on your work. When you wonder why your favorite writer or director has gone downhill since they became a megastar, it’s usually because they stopped getting feedback on their work. But especially when you’re starting out, you need constant abuse to get better at your craft. A “solidificação” do mundo tem ainda, na ordem humana e social, outras conseqüências de que não falamos até agora: a este respeito, ela cria um estado de coisas no qual tudo está contado, registrado e regulamentado, o que, no fundo, não é mais do que outro gênero de “mecanização”; nada é mais fácil do que constatar por todo o lado, na nossa época, fatos sintomáticos tais como, por exemplo, a mania dos recenseamentos (que se liga, aliás, diretamente à importância atribuída às estatísticas) (1), e igualmente, a multiplicação incessante das intervenções administrativas em todas as circunstâncias da vida, intervenções que devem ter como efeito certamente assegurar uma uniformidade tão completa quanto possível entre os indivíduos, tanto mais que, de certo modo, é “princípio” de qualquer administração moderna tratar esses indivíduos como simples unidades numéricas todas semelhantes entre si, isto é, agir como se, por hipótese, a uniformidade “ideal” estivesse já realizada, obrigando deste modo todos os homens a ajustarem-se, se assim de pode dizer, a uma mesma medida “média”. Por outro lado, esta regulamentação cada vez mais excessiva tem uma conseqüência bastante paradoxal: é que, quanto mais se glorifica a rapidez e a facilidade crescentes da comunicação entre os países mesmo os mais afastados, graças às invenções da indústria moderna, põem-se ao mesmo tempo todos os entraves possíveis à liberdade dessa comunicação, de tal modo que é muitas vezes praticamente impossível passar de um país para outro, ou pelo menos, tornou-se mais difícil do que nos tempos em que não havia nenhum meio mecânico de transporte. É mais um aspecto particular da “solidificação”: num mundo assim, já não há lugar para os povos nômades que até agora têm subsistido em condições diversas, porque cada vez menos encontram espaço livre diante de si. Aliás, todos se esforçam por todos os meios para os levar à vida sedentária (2), de modo que, também sob este aspecto, não parece longe o momento em que “a roda deixará de andar”; além disso, nesta vida sedentária, as cidades, que representam, de certo modo, o último grau da “fixação”, tomam uma preponderância importante e tendem cada vez mais a absorver tudo (3); e é assim que, perto do final do ciclo, Caim acabara realmente por matar Abel. Com efeito, no simbolismo bíblico, Caim é representado como agricultor e Abel como pastor. São assim tipos das duas espécies de povos que existiram desde as origens da presente humanidade, ou pelo menos, desde que se produziu nela uma primeira diferenciação: os sedentários, ligados à cultura da terra, os nômades, à criação de gado (4). Estas são, é preciso insistir, as ocupações essenciais e primordiais destes dois tipos humanos; o resto é acidental, derivado ou acrescentado, e falar de povos caçadores ou pescadores, por exemplo, como fazem comummente os etnólogos modernos, ou é tomar o acidental pelo essencial, ou referir unicamente casos mais ou menos tardios de anomalia e de degenerescência, como se pode encontrar realmente em certos povos selvagens (e os povos essencialmente comerciantes ou industriais do Ocidente moderno não são, aliás, menos anormais, embora de outro modo) (5). Cada uma destas duas categorias tinha naturalmente a sua lei tradicional própria, diferente da outra, e adaptada ao seu gênero de vida e à natureza das suas ocupações; esta diferença manifestava-se nomeadamente nos ritos sacrificiais, e dai a menção especial que é feita das oferendas vegetais de Caim e das oferendas animais de Abel, no texto do Gênesis (6). Já que fazemos aqui uma referência particular ao simbolismo bíblico, é bom notar já, a este propósito, que a Thora hebraica se liga propriamente ao tipo da lei dos povos nômades: daí a maneira como é apresentada a história de Caim e de Abel, que, do ponto de vista dos povos sedentários, apareceria sob outra luz e seria susceptível de outra interpretação; mas, claro, os aspectos correspondentes a estes dois pontos de vista estão incluídos um e outro no seu sentido profundo, e não são, na realidade, mais do que uma aplicação do duplo sentido dos símbolos, aplicação à qual só fizemos uma alusão parcial a propósito da «solidificação», já que esta questão, como se verá melhor a seguir, está estreitamente ligada ao simbolismo do assassínio de Abel por Caim. Do caráter especial da tradição hebraica vem também a reprovação que se faz a certas artes ou a certos ofícios que estão ligados propriamente aos sedentários, e nomeadamente a tudo o que diz respeito à construção de habitações fixas; pelo menos foi assim até à época em que precisamente Israel deixou de ser nômade, durante alguns séculos, isto é, até ao tempo de David e de Salomão, e sabe-se que, para construir o Templo de Jerusalém, foi preciso chamar operários estrangeiros (7). São naturalmente os povos agricultores que, pelo fato de serem sedentários, acabam, mais cedo ou mais tarde por construir cidades; e, de fato, diz-se que a primeira cidade foi fundada pelo próprio Caim; esta fundação só teve lugar, aliás, muito depois de se terem referido as suas ocupações agrícolas, o que mostra bem que há como que duas fases sucessivas no “sedentarismo”, em que a segunda representa, em relação à primeira, um grau mais acentuado de fixação e de “concentração” espacial. 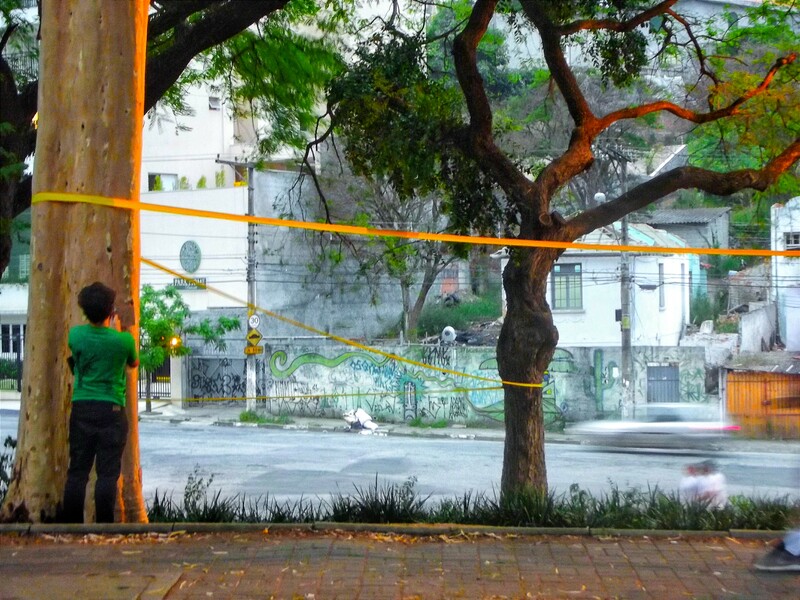 De modo geral, as obras dos povos sedentários são, por assim dizer, obras do tempo; fixados no espaço e num domínio estritamente delimitado, desenvolvem a sua atividade numa continuidade temporal que lhes aparece como indefinida. Pelo contrário, os povos nômades e pastores não edificam nada que perdure, e não trabalham com vista a um futuro que lhes escapa; mas vão adiante de si próprios no espaço, que não lhes opõe nenhuma limitação, mas, pelo contrário, lhes abre constantemente novas possibilidades. Encontra-se assim a correspondência dos princípios cósmicos aos quais se liga, numa outra ordem, o simbolismo de Caim e de Abel: o princípio da compressão, representado pelo tempo e o princípio da expansão, pelo espaço (8). A bem dizer, ambos estes princípios se manifestam simultaneamente no tempo e no espaço, como em todas as coisas, e é necessário anotar isto para evitar identificações ou assimilações demasiado “simplificadas”, bem como para resolver por vezes certas oposições aparentes; mas não é menos certo que a ação do primeiro predomina na condição temporal, e a do segundo na condição espacial. Ora o tempo gasta o espaço, se assim se pode dizer, afirmando desse modo o seu papel de «devorador»; igualmente, ao longo dos tempos, os sedentários absorvem pouco a pouco os nômades: é esse, como dizíamos mais atrás, o sentido social e histórico do assassínio de Abel por Caim. A atividade dos nômades exerce-se especialmente no reino animal, móvel como eles; a dos sedentários, pelo contrário, tem como objeto direto os dois reinos fixos, o vegetal e o mineral (9). Por outro lado, pela força das coisas, os sedentários chegam a constituir símbolos visuais, imagens feitas de diversas substâncias, mas que, do ponto de vista do significado essencial, se reduzem sempre mais ou menos diretamente ao esquematismo geométrico, origem e base de todas as formações espaciais. Os nômades, pelo contrário, para quem as imagens estão proibidas como tudo o que tenda a fixá-los num determinado lugar, têm símbolos sonoros, os únicos compatíveis com o seu estado de contínua migração(10). 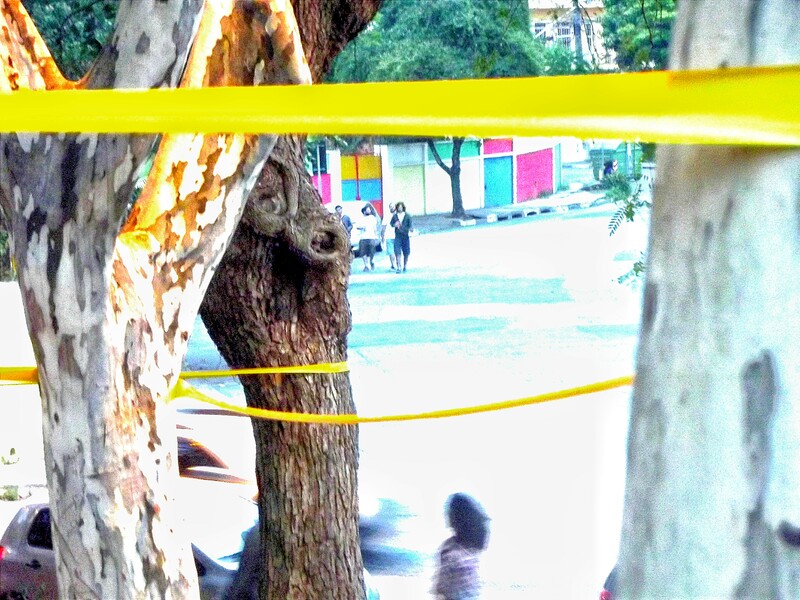 Mas há uma coisa notável que é o fato de, entre as faculdades sensíveis, a vista estar em ligação direta com o espaço, e o ouvido, com o tempo: os elementos do símbolo visual exprimem-se em simultaneidade, os do símbolo sonoro, em sucessão; opera-se, pois, nesta ordem uma espécie de inversão das relações que vimos atrás, inversão que é, aliás, necessária para estabelecer um certo equilíbrio entre os dois princípios contrários de que falamos, e para manter as suas ações respectivas nos limites compatíveis com a existência humana normal. 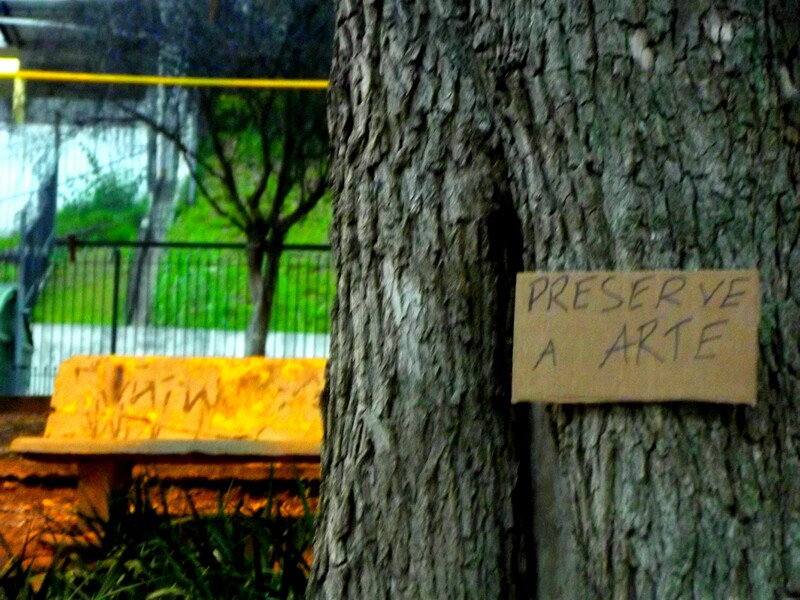 Assim, os sedentários criam as artes plásticas (arquitetura, escultura, pintura), isto é, as artes das formas que se desenvolvem no espaço; os nômades criam as artes fonéticas (música, poesia), isto é, as artes das formas que se desenvolvem no tempo; porque, digamo-lo de novo, qualquer arte é, na sua origem, simbólica e ritual, e só por uma degenerescência ulterior, muito recente, aliás, é que perde esse caráter sagrado para se tornar finalmente o “jogo” puramente profano, ao qual está reduzida entre os nossos contemporâneos (11). Eis onde se manifesta o complementarismo das condições de existência: os que trabalham para o tempo estão estabilizados no espaço; os que erram no espaço, modificam-se sem cessar com o tempo. E vejamos onde aparece a antinomia do “sentido inverso”: aqueles que vivem segundo o tempo, elemento mutável e destruidor, fixam-se e conservam-se; aqueles que vivem segundo o espaço, elemento fixo e permanente, dispersam-se e mudam-se sem cessar. É preciso que seja assim para que a existência de uns e de outros se torne possível, pelo equilíbrio, pelo menos relativo, que se estabelece entre os termos representativos das duas tendências contrárias; se só uma ou outra destas duas tendências compressiva e expansiva estivesse em ação, o fim viria rapidamente, quer por “cristalização”, quer por “volatilização”, se nos é permitido empregar a este respeito as expressões simbólicas que devem evocar a “coagulação” e a “solução” alquímicas, e que correspondem, aliás, efetivamente, no mundo atual, a duas fases de que ainda iremos elucidar mais à frente o respectivo significado (12). Com efeito, é este um domínio onde se afirmam com particular nitidez todas as conseqüências das dualidades cósmicas, imagens ou reflexos mais ou menos longínquos da primeira dualidade, a mesma da essência e da substância, do Céu e da Terra, de Purusha e de Prakriti, que gera e rege toda a manifestação. Mas, voltando ao simbolismo bíblico, o sacrifício animal é fatal a Abel (13), e a oferenda vegetal de Caim não é aceito (14); aquele que é abençoado, morre, aquele que vive é amaldiçoado. Rompe-se o equilíbrio, de uma parte e de outra; como restabelecê-lo senão através de trocas, de tal modo que cada uma tenha a sua parte das produções da outra? É assim que o movimento associa o tempo e o espaço, e de certo modo, é a resultante da sua combinação e concilia neles as duas tendências opostas de que falamos atrás (15); o movimento não é em si próprio mais do que uma série de desequilíbrios, mas a soma destes constitui o equilíbrio relativo compatível com a lei da manifestação ou do “devir”, isto é, com a própria existência contingente. Qualquer troca entre os seres submetidos às condições temporal e espacial é um movimento, em suma, ou antes, um conjunto de dois movimentos inversos e recíprocos, que se harmonizam e se compensam um ao outro; aqui, o equilíbrio realiza-se, pois, diretamente pelo fato mesmo desta compensação (16). O movimento alternativo das trocas pode, aliás, exercer-se nos três domínios espiritual (ou intelectual puro), psíquico e corporal, em correspondência com os “três mundos”: troca dos princípios, dos símbolos e das oferendas, tal é, na verdadeira história tradicional da humanidade terrestre, a tripla base sobre a qual assenta o mistério dos pactos, das alianças e das bênçãos, isto é, no fundo, a própria repartição das “influências espirituais” em ação no nosso mundo; mas não podemos insistir mais nestas últimas considerações, que se ligam evidentemente a um estado normal do qual estamos muito afastados sob todos os aspectos, e dos quais o mundo moderno não é mais do que negação pura e simples (17). 1. Muito haveria a dizer sobre as proibições formuladas em certas tradições contra os recenseamentos, salvo em alguns casos excepcionais; se disséssemos que estas operações e todas aquelas daquilo a que chamamos o «estado civil» têm, entre outros inconvenientes, o de contribuir para encurtar a duração da vida humana (o que, aliás, está conforme com a própria marcha do ciclo, sobretudo nos últimos períodos), ninguém acreditaria; e, no entanto, em certos países, os camponeses mais ignorantes sabem bastante bem, como fato de experiência corrente, que se se contarem muitas vezes os animais, morrem muitos mais do que se não o fizerem. É claro, evidentemente, que aos olhos dos modernos que se dizem «esclarecidos», isto não passa de uma «superstição»! 2. Citemos, como exemplos particularmente significativos, os projetos «sionistas», no que diz respeito aos Judeus e também as tentativas recentes para fixar os Ciganos em certas regiões da Europa ocidental. o que mostra, mais uma vez, como dizíamos atrás, que se pode verificar um duplo sentido da «solidificação». 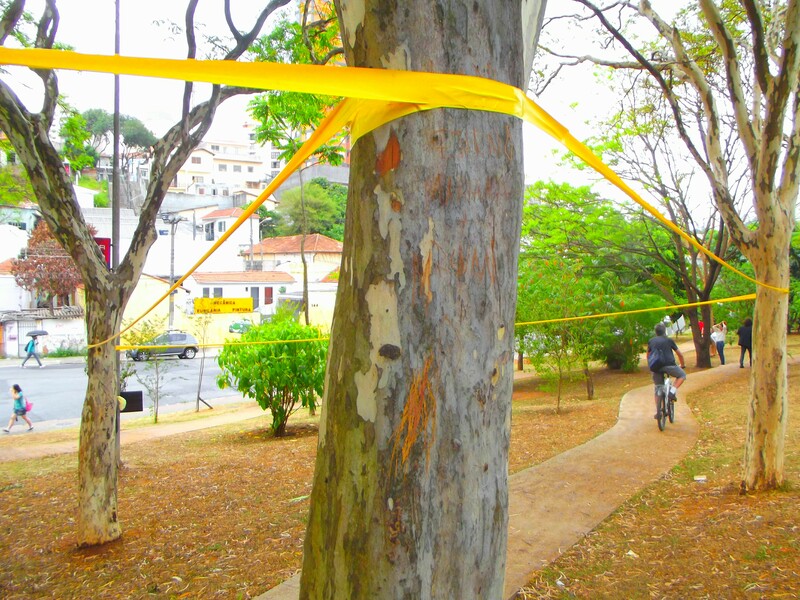 uma certa anterioridade, e, de fato, o próprio Adão, antes da «queda», é representado como tendo a função de «cultivar o jardim», o que, aliás, não se refere propriamente à predominância do simbolismo vegetal na figuração do início do ciclo (daí uma «agricultura» simbólica e até iniciática, a mesma que, entre os Latinos, se dizia que Saturno tinha ensinado aos homens da «idade de ouro»); mas, seja como for, só temos que ter em conta aqui o estado simbolizado pela oposição (que é ao mesmo tempo um complementarismo) de Caim e de Abel, isto é, aquele em que a distinção dos povos em agricultores e pastores é já um fato consumado. 5 As denominações de Iran e de Turan que se quis já atribuir a designações de raças, representam na reali¬dade respectivamente os povos sedentários e os povos nômades; Iran ou Airyana vem da palavra arya (de onde deriva ârya por extensão), que significa «lavrador» (derivado da raiz ar, que se encontra também no latim arare, arator, e também arvum «campo»); e o emprego da palavra ârya como designação honorífica (para as castas superiores) é, por conseguinte, característica da tradição dos povos agricultores. 6 Sobre a importância muito particular do sacrifício e dos ritos que a eles se ligam, nas diferentes formas tradicionais, ver Frithjof Schuon, Du Sacrifice, na revista Études Traditionnelles, Abril de 1938, e A. K. Coomaraswamy, Atmayajna Self-sacrifice, no Harvard Journal ofAsiatic Studies, Fevereiro de 1942. 7 A fixação do povo hebreu dependia, essencialmente, aliás, da própria existência do Templo de Jerusalém: assim que este foi destruído, o nomadismo reapareceu sob a forma especial da «dispersão». 8 Sobre este significado cosmológico devem ver-se especialmente os trabalhos de Fabre d’Olivet. 9 A utilização dos elementos minerais compreende especialmente a construção e a mineralogia: voltaremos a esta última, cujo simbolismo bíblico a faz remontar a Tubalcaim, isto é, a um descendente de Caim, cujo nome se encontra na formação do seu próprio, o que indica que existe entre eles uma ligação direta particularmente estreita. 10 A distinção destas duas categorias fundamentais de símbolos é, na tradição hindu, a do yantra, símbolo figurado, e do mantra, símbolo sonoro; ela arrasta naturalmente uma distinção correspondente nos ritos onde estes elementos simbólicos são empregues respectivamente, embora não haja sempre uma separação tão nítida como a que se pode encarar teoricamente, já que todas as combinações em proporções diversas são possíveis aqui. 11 Seria desnecessário notar que, em todas as considerações expostas aqui, se vê aparecer nitidamente o caráter correlativo, e de certo modo simétrico, das duas condições espacial e temporal, consideradas no seu aspecto qualitativo. 12 É por isso que o nomadismo, sob o seu aspecto «maléfico» e desviado, exerce facilmente uma ação «dissolvente» sobre tudo aquilo com que entra em contado; por seu lado, o sedentarismo, sob o mesmo aspecto, só pode levar às formas mais grosseiras de um materialismo sem saída. 13 Como Abel derramou o sangue dos animais, o seu sangue é derramado por Caim; há como que a expressão de uma «lei de compensação», em virtude da qual os desequilíbrios parciais, que é no que consiste fundamentalmente toda a manifestação, se integram no equilíbrio total. 14 Importa notar que a Bíblia hebraica admite, no entanto, a validade do sacrifício não sangrento considerado em si mesmo: é o caso do sacrifício de Melquitsedec, que consiste na oferenda essencialmente vegetal do pão e do vinho; mas isto liga-se em realidade ao ritual do Soma védico e à perpetuação direta da «tradição primordial», para além da forma especializada da tradição hebraica e «abraâmica», e até, muito mais longe ainda, para além da distinção da lei dos povos sedentários e da dos povos nômades; há ainda uma reminiscência da associação do simbolismo vegetal com o «Paraíso terrestre», isto é, com o «estado primordial» da nossa humanidade.A aceitação do sacrifício de Abel e a rejeição do de Caim é representada muitas vezes sob uma forma simbólica bastante curiosa; o fumo do primeiro eleva-se verticalmente para o céu, enquanto que o do segundo se espalha horizontalmente à superfície da terra; deste modo traçam respectivamente a altura e a base de um triângulo que representa o domínio da manifestação humana. 15 Estas duas tendências manifestam-se ainda, aliás, no próprio movimento, sob as formas respectivas do movimento centrípeto e do movimento centrífugo. 16 Equilíbrio, harmonia, justiça, não são mais do que três formas ou três aspectos de uma e mesma coisa; aliás, em certo sentido, poder-se-ia fazê-las corresponder respectivamente aos três domínios que mencionamos a seguir, com a condição, claro, de restringir aqui a justiça ao seu sentido mais imediato, cuja simples «honestidade» nas transações comerciais representa, nos modernos, a expressão diminuída e degenerada pela redução de todas as coisas ao ponto de vista profano e à estreita banalidade da «vida vulgar». 17 A intervenção da autoridade espiritual no que diz respeito à moeda, nas civilizações tradicionais, liga-se imediatamente àquilo que acabamos de dizer; com efeito, a moeda em si é de certo modo a própria representação da troca, e podemos compreender por esse fato, de modo mais preciso, qual era o papel efetivo dos símbolos que trazia gravados e que circulavam com ela, dando a essa troca um significado completamente diferente da simples «materialidade», que é tudo o que resta nas condições profanas que regem, no mundo moderno, as relações dos povos bem como as dos indivíduos.